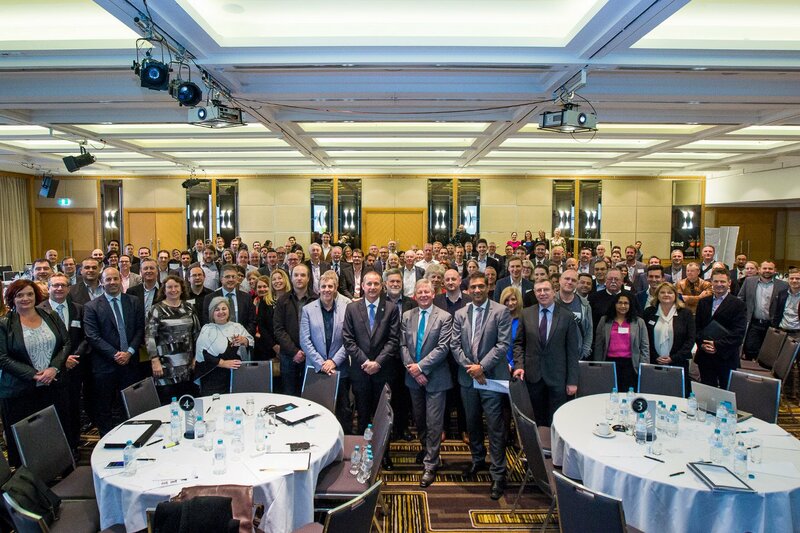 At yesterday's WA Innovation Summit, put together for new Innovation Minister Bill Marmion, 250 invited guests came up with plans on how best to spend the newly allocated $20 million of innovation funds. Hoping like all of us to see some real action out of the forum. It was terrific to be together to work on the one problem and lobby the state government to produce meaningful use for the $20 million in funding. Like everyone else, I am hoping to see some actions resulting from the forum. I do think the one negative about the day was that we missed the opportunity to showcase some of WA's start-ups, and hear directly from them the problems they have encountered and what could be done to improve WA's status as a "state of Innovation"
A wonderful opportunity to inspire, collaboratively create an action plan for WA & continue building the close ties needed for a healthy innovation ecosystem. This was a very invigorating exercise which I hope leads to tangible benefits in the seed finance sector. Thankyou. The WA Innovation Summit was a good start for such an initiative, with presentations, discussion points, ideas, suggestions, proposed solution kick off steps openly shared by many and recorded for review, to condense and follow up action list. Would like to have seen and learnt more about personal war stories of local WA operators who are up to their eyeballs in commercialising their innovations - their successes, their challenges, what has worked and what hasn't, where do they need the most support, what needs to change to make it easier, and how do we ensure that these learnt experiences are shared with other innovators who are lining up on the same kind of runway and the various stakeholders supporting those takeoffs. Then perhaps the proposed funding and support that is forthcoming can be more wisely used and delivers a bigger bang for our buck. The Innovation was certainly a good opportunity to hear from various though leaders, but I tend to agree that it would be nice to hear from more start-up entrepreneurs themselves. A big thank you though to the Government Chief Information Office for choosing to use GroupMap as their way of getting comments and ideas from everyone, and allowing a voting process to take place. At least that's one sign about using a Local Area innovation in making the process more efficient. One of our challenges has been to actually to get people to move away from traditional processes to more innovative and efficient ones (Most of our clients are overseas), so at least this is a terrific way to see Government moving forward.